Mention Bell to executives from Pfizer, Kraft, Marsh Advantage America, or Sovereign Bank, and you may be treated to an impromptu lesson on Bell’s leadership development strategies. Visit The Biltmore Company, Progress Energy, Trammell Crow Company, Walt Disney Imagineering, or the member companies of the Urban Land Institute, and you’ll undoubtedly spy a few of Dr. Bell’s instructive Achiever models on display. 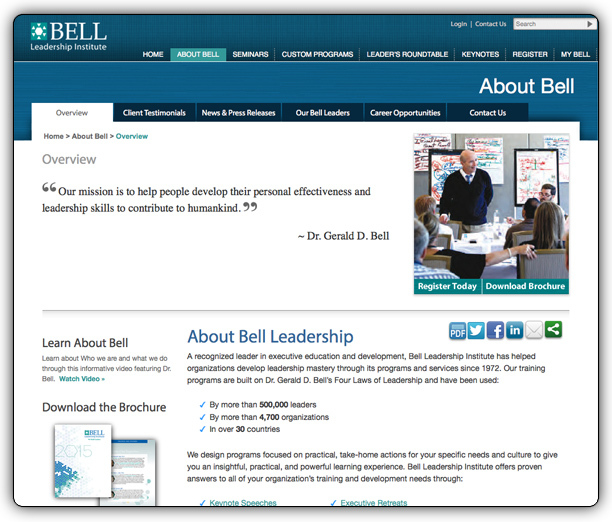 Dr. Bell’s creative thinking and intellectual generosity have earned him a national and global reputation as one of the highest-rated advisors on leadership. Organizations such as the Young Presidents Organization and the Chief Executives Organization call on him again and again for his plain, unaffected yet deeply thought-provoking delivery. IONA is the company that Bell Leadership relies on daily to interact with its constituents. 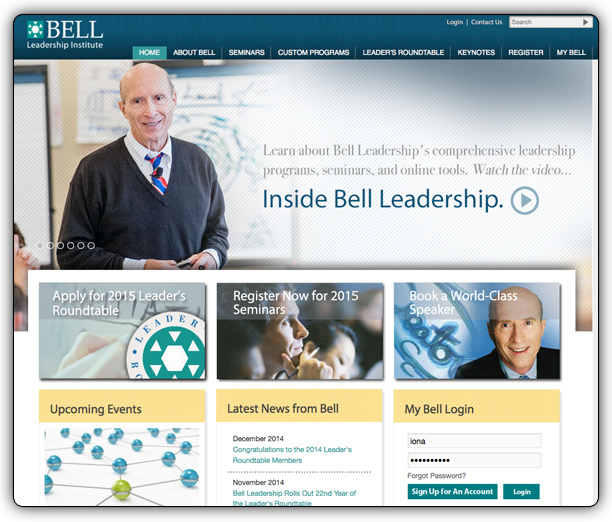 IONA designed, developed, hosts and maintains all Bell Leadership online systems. The relationship of Bell Leadership administrative team and the team at IONA offer a symbiotic relationship that rely on each team members ability to bring the greatest of their skills to a leading-edge website and online community for Bell Leadership’s customers. With event registration, program management, online learning, and online assessment accessible to Bell Leadership customers, Bell Leadership has recognized the investment that is required to stay on the leading edge and to meet the expectations of its customers. Maintaining teamwork and nimble-like attitude towards online projects and customer needs, Bell & IONA are able to address customers needs quickly and with a high customer satisfaction. 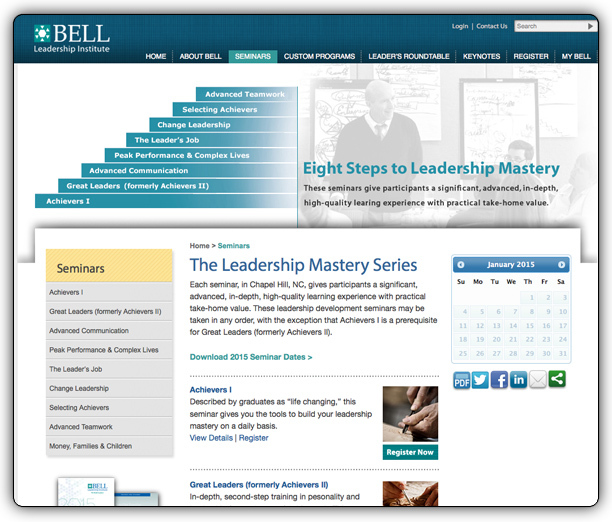 BellLeadership.com is a site that offers a community for it’s clients and individual participants that participate or attend programs and seminars. Through the development of an integrated system, IONA has provided Bell Leadership’s administrative team the ability to communicate and stay tuned to the trends of its participants more effectively. Moreover, the site, that offers event/programming registration, training management, online assessment tools, and post-program participant tools, directly integrates with their business processes to allow for less administrative time and more quality experience to its participant. Connect with IONA today to receive information about leading industry news and IONA services. Get Connected. Receive innovative ideas and a comprehensive look at IONA’s services and solutions. ©2019. IONA interactive | All Rights Reserved.